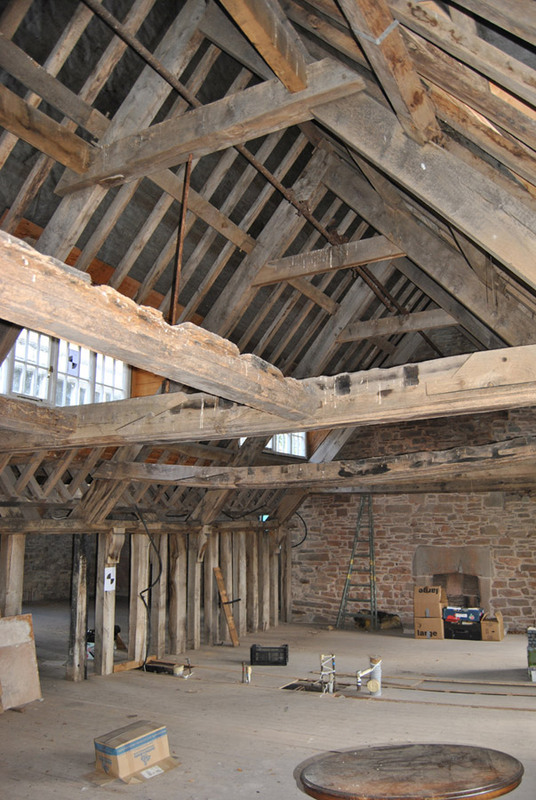 A full analytical record and assessment of the Grade I listed, Jacobean Hay Castle House, Powys, together with its associated service wing and stable block, was commissioned by Rick Mather Architects, working on behalf of the Hay Castle Trust. 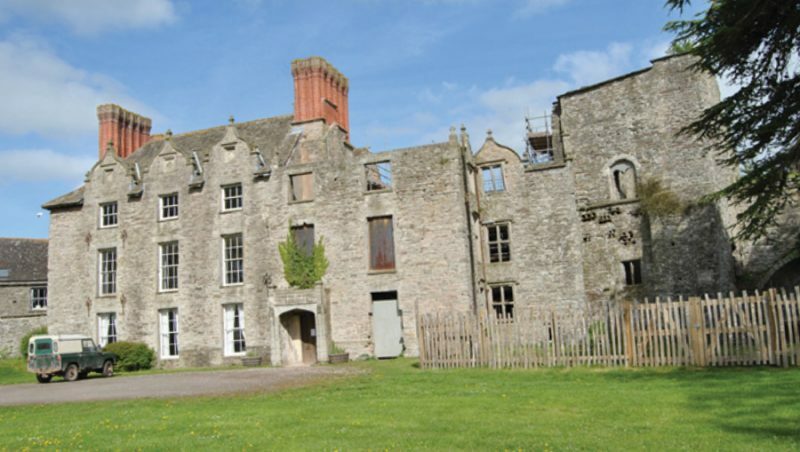 Hay Castle occupies a commanding site at the north-west angle of the former medieval walled town, upon a ridge commanding views over the River Wye into south Radnorshire. Castle House, dating essentially to the early years of the 17th century, is set to the north and north-eastern sides of a medieval motte and bailey. 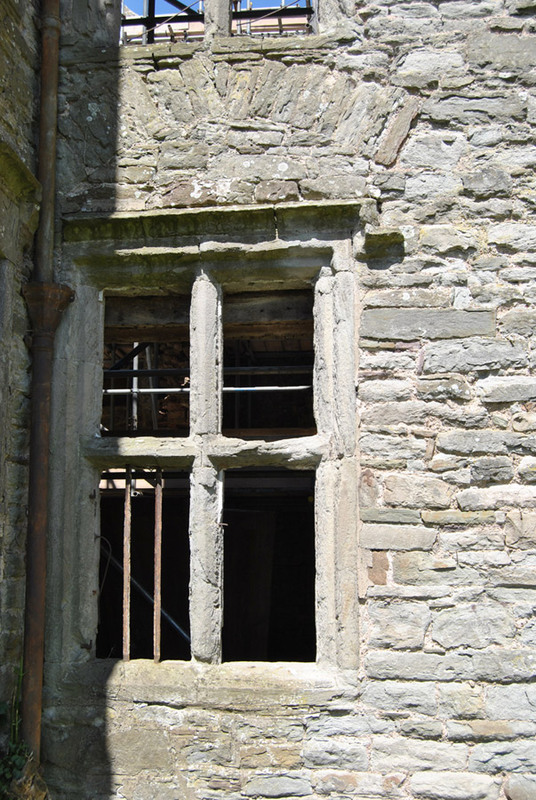 A total of eight principal phases of development were identified within the standing building, ranging from early remains of medieval origin, through to late-20th century repair etc. The house originated in c.1600 as a small-scale residential suite adjunct to the medieval ‘great tower’ and gatehouse, though it was radically enlarged soon afterwards by Howell Gwynn of Trecastle. The enlarged house is notable for its use of the characteristic ‘double-pile’ plan, its development of the hall as a ‘circulation’ space and its elevation of the principal stair from a practicality to a feature of architectural display. Unusually, the spine wall of the double-pile was constructed entirely in timber-framing rising through three storeys, with fireplaces located within the end walls served by tall brick chimney stacks. 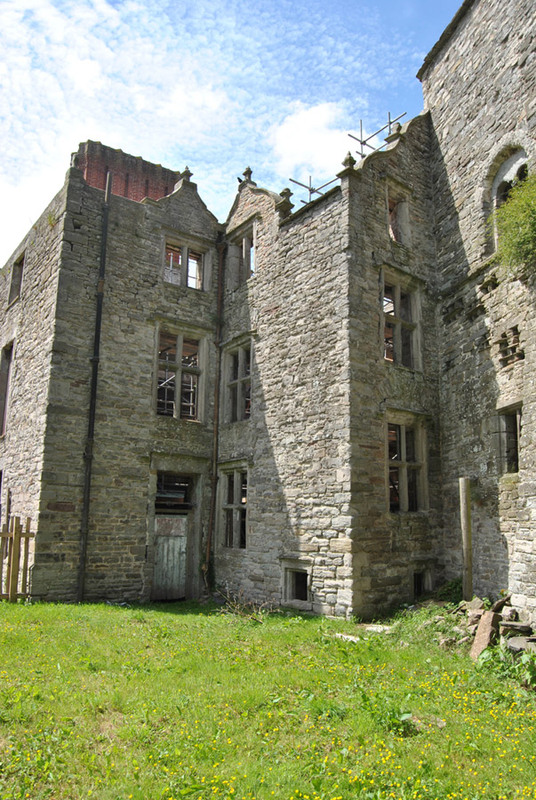 A programme of repair was undertaken in the early-20th century by the noted architect William Douglas Caroe. Tragically, however, the house fell victim to two catastrophic fires during the course of the 20th century, first in 1939 and again in 1977, resulting in extensive damage to both primary and later historical fabric; since the 1939 fire, the eastern end of the house has remained a roofless, derelict shell. 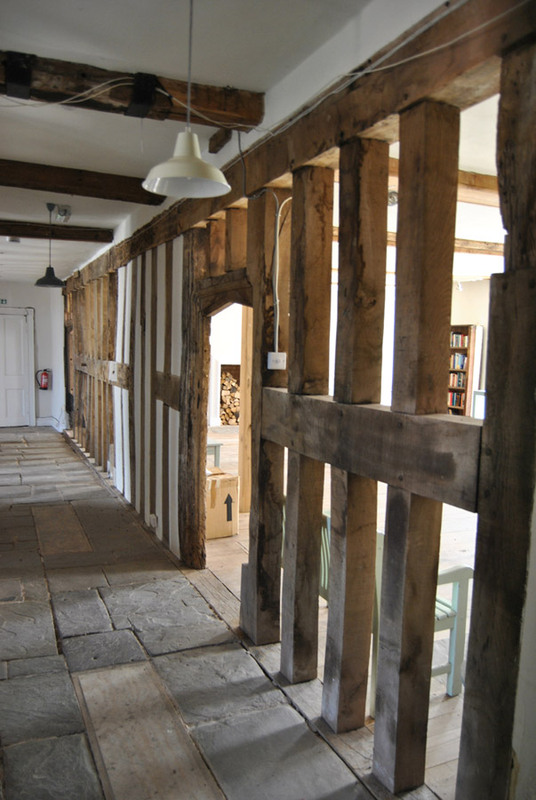 It was acquired in 2011 by the Hay Castle Trust with the aim of preserving and regenerating the site and to create an exciting, multi-functional space. The castle was owned and occupied for a period of almost 50 years by the bibliophile Richard Booth MBE, erstwhile self-proclaimed ‘King of Hay’ and a figure central to the development of the town as a world-renowned centre for the second-hand book trade. The project report formed one of a suite of documents feeding into a wider ranging Conservation Management Plan for the castle site as a whole, prepared by Rick Mather Architects in support of a HLF funded programme of proposed consoldation, restoration and regeneration with a view to enhancing and reinvigorating the property as a cultural centre within the town of Hay.